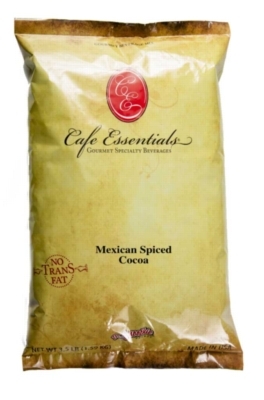 Dr. Smoothie Café Essentials Mexican Spiced Cocoa delivers a rich milky cocoa taste with just enough spice and cinnamon to get your taste buds jumping and wanting more. Most spiced hot cocoas are weak, not this one! Formulated to be made with water or milk. Buy in a 3.5 lb bulk bag.